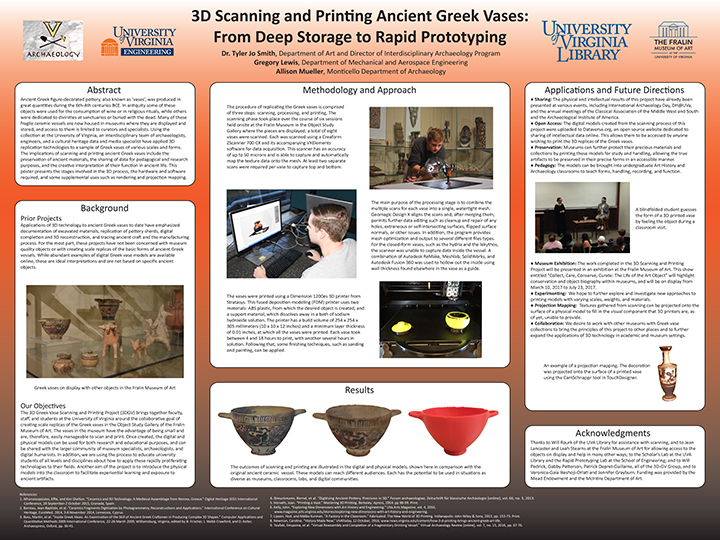 The 3D Greek Vase Scanning and Printing Project (3DGV) brings together faculty, staff, and students at the University of Virginia to create scale replicas of the Greek vases in the collection of the Fralin Museum of Art using rapid prototyping technologies. Beginning in January 2015 as the brainchild of Professor Tyler Jo Smith and undergraduate engineering student Gregory Lewis, the project has since grown into a collaborative effort between the archaeology program, the UVa Library System, the UVa Engineering School, and the Fralin Museum, and has been featured in numerous articles, talks, and conferences, both at UVa and across the country. 3DGV aims to scan and print these vases so that the digital and physical models can be used for both research and educational purposes, and can be shared with the larger community of museum specialists, archaeologists, and digital humanists. In addition, we seek to introduce the physical models into the classroom to facilitate experiential learning and exposure to ancient artifacts as well as to teach students of all levels and disciplines about how to apply these rapidly proliferating technologies to their fields. Toronto, Canada, 6 January 2017. 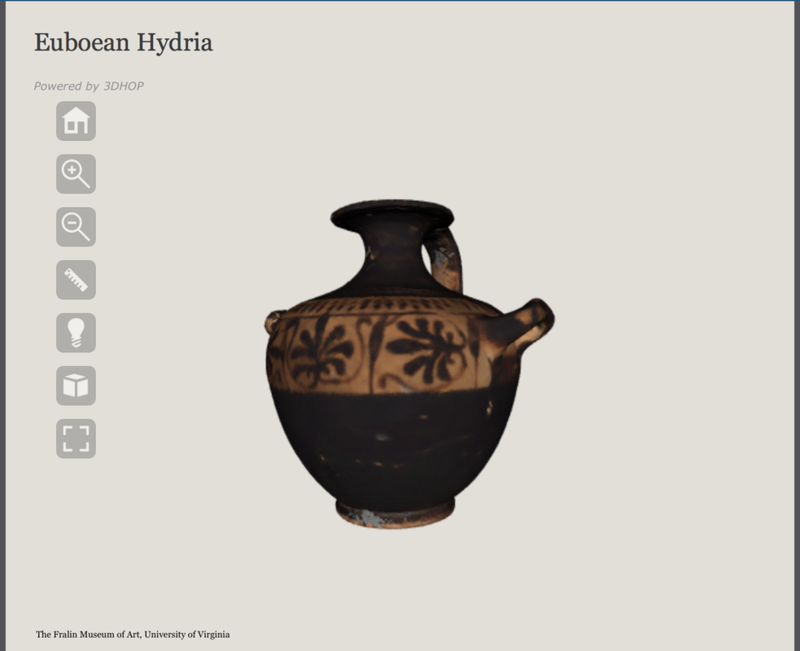 Click here for more about Democratizating Cultural Heritge Data and our 3D vases. ​Follow us on Facebook at 3DGreekVases!